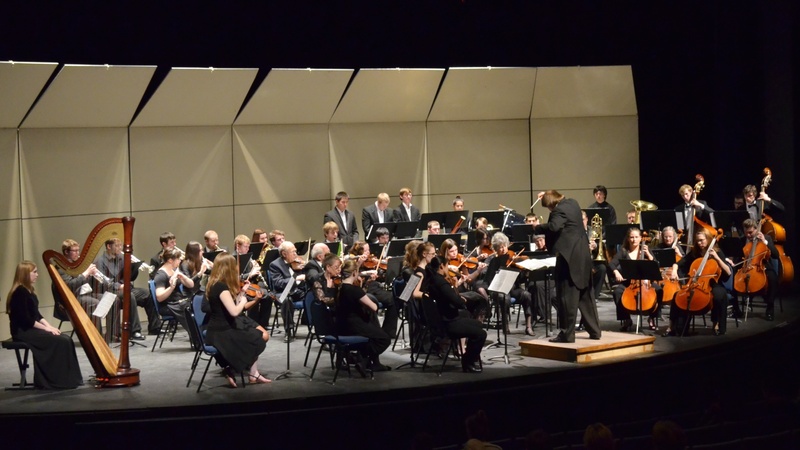 Under the baton of Dr. Ike Nail, the Western Oregon Symphony is open by audition to all interested students, faculty and members of the community. There are generally 3 concerts each year featuring repertoire from the Baroque through the 20th century. Students and guests are frequently invited to play solo works. The Orchestra also participates in the performance of large-scale choral/orchestral works as well as opera and musicals. An audition may be submitted via audio or video recording (video is preferred). Audio or video files may be posted to YouTube, Dropbox, or other online location. Send link(s) via email to Dr. Ike Nail.